RentHop, formally a New York apartment finder app, is expanding nationally, putting it toe to toe with a handful of other rental sites that offer nationwide coverage—including Apartments.com, Apartment List, Zillow-owned HotPads and Trulia’s rental marketplace—according to an article from Inman. This image was taken from www.forbes.com. What RentHop says sets it apart from the pack is its listing ratings system, which assigns scores to listings designed to help consumers gauge whether a listing is worth inquiring about. “HopScores” are based on the completeness of a listing, its quality compared with nearby listings and the historical responsiveness of its property manager—according to the article. But the scores also reflect freshness, too. As traffic to a listing increases, its score will decrease, pushing it farther down in the search results. 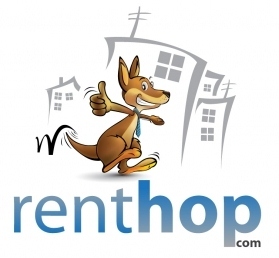 With RentHop, consumers will see the newest listings first. The company launched in 2009 and is a graduate of the Y-Combinator startup accelerator program. Renters have long lamented the throng of questionable listings on Craigslist, but the problem also plagues other major sites—but RentHop is not one of them. For example, Trulia recently sought to address the problem of numerous brokers posting the same listings in New York City—where, due to the nature of the market, the practice is very omnipresent—according to the article. “It’s a situation that’s created in New York because it’s a perfect storm: huge volume of consumers and huge volume of inventory,” said Pierre Calzadilla, Senior Manager of Trulia’s rental team. To solve the problem, Trulia consolidated all duplicate listings of the same New York City listing into one single listing that displays all the different brokers who represent it. “What we did was — it’s very simple: You have to have a feed to Trulia. You have to give us a real address,” Calzadilla said. Only people searching listings in the NYC boroughs of Brooklyn, Manhattan and Queens will be able to use the new interface for now, but Trulia said it expects to expand it to cover Harlem and the Bronx by the end of the month. And Trulia says it plans to introduce the interface to other rental markets similar to New York City’s later this year—according to this other Inman article. Another differentiating feature of RentHop is its communication tool. The unique tool lets consumers schedule viewings with brokers and property managers and also manage responses. 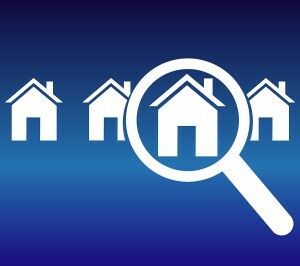 Agents, brokerages and property managers may post listings on the site for $2 apiece.